PMI & Ferrari: Zoom from pro-smoking to no-smoking? 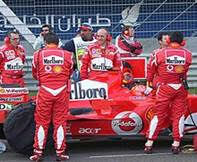 For past two decades Philip Morris International (PMI) has been promoting its Marlboro brand of cigarettes in Formula 1 by sponsoring the Ferrari team. 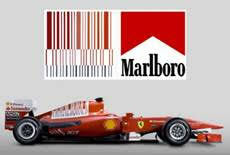 Although the other transnational tobacco companies stopped sponsoring Formula 1 after 2006, PMI persisted. Now, on 20 February, PMI announced suddenly it is switching to “advancing the cause of a smoke-free world” with its long term partner Scuderia Ferrari. PMI has never taken responsibility nor compensated for the harm and deaths its cigarettes cause for decades, but in its new promotion with Scuderia Ferrari, it is mouthing public health language claiming it wants “a world in which all people who would otherwise continue smoking switch from the most harmful form of nicotine consumption – cigarettes.” This is disingenuous to say the least as PMI continues to promote and sell its harmful cigarettes. 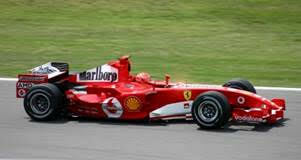 In essence, both PMI and Scuderia Ferrari continue their tobacco relationship in F1. In 2010, PMI changed the logo to a red-white-black bar code that sublimally advertisied the Marlboro brand. 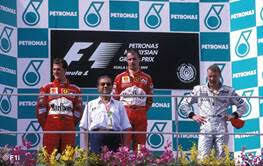 1999 – First Malaysian F1 Grand Prix with then Prime Minister on stage with the winners, two wearing the Marlboro brand. F1 and tobacco sponsorship has had a long history. In 2002, F1’s governing body, the Federation Internationale de l’Automobile announced tobacco sponsorship of international motorsport would cease by the end of the 2006 season. While other tobacco companies ended their sponsorship, there were no pit-stops for PMI to end promoting its Marlboro brand. Instead it kept renewing its sponsorship of Formula 1, estimated at about $160 million per year. Although many countries banned tobacco sponsorship of sports, their broadcasts were forced to screen the Marlboro brand when they telecast the F1 races. It was even worse for Singapore and Malaysia (until last year) who hosts the races and have to allow the emblematic red and white Marlboro branded Ferrari on their tracks and beamed to millions of viewers. The Formula 1 races run annually from March to November across 21 countries. Singapore will host the race on 16 September this year. Until last year, Malaysia used to host the race in the Sepang circuit. In 2010, the Ferrari deal was criticised when Marlboro was accused of running subliminal advertising on the cars with a red-white-black barcode design closely resembling the Marlboro chevron on the engine cover. In July 2011, Ferrari announced that they were dropping ‘Marlboro’ from its official team title, whilst also confirming that they had renewed their partnership with PMI until 2015. At the 2015 Monaco Grand Prix, Marlboro advertising boards (external to the track) included statements such as “Red is Inspiration”, “Red is Action” and “Red is Innovation”, aligned with PMI’s international “Be Marlboro” campaign. PMI’s double-talk is quite spectacular as it spews care for the men and women who smoke and how “Burning tobacco generates smoke and the vast majority of harmful toxicants generally associated with smoking-related diseases.” Yet it refuses to stop marketing and selling these same harmful cigarettes. After announcing its new initiative on heated products, and committing about US$1 billion on a new Foundation for Smoke-Free World, it is now announcing how it will promote this new venture through the F1. It looks like F1 is not zooming to end tobacco use any time soon.